Complete Your Friend To Animals Badge With WDC! 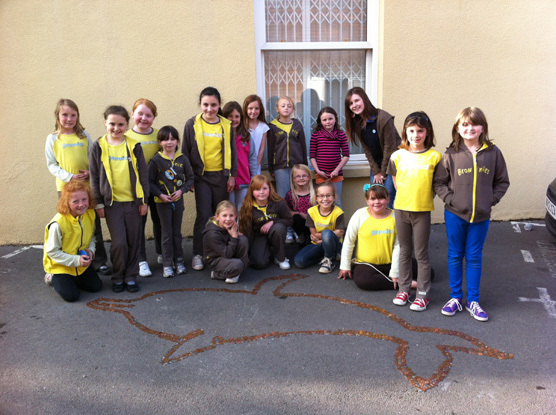 If you or your Brownie group is thinking about doing your Friend to Animals badge, and you would like to become a friend to dolphins at the same time, you have come to the right place! WDC, Whale and Dolphin Conservation, is an animal charity committed to protecting whales and dolphins all over the world. Our Dolphin Diploma is a special award for children. By completing the activities for the Dolphin Diploma you will learn lots about endangered dolphins and you will do everything you need for your Friend to Animals Brownie badge at the same time! All the Diploma activities can be completed on your own, with a friend, or at your Brownie meeting with other Brownies. Then make sure your Brownie Leader sends the Diploma form back because we'll send you a Dolphin Diploma certificate which proves you have learnt all about dolphins and have been actively involved in protecting them! What do I have to do to get my Dolphin Diploma Award? The Quiz - answer the five questions here using the endangered species factsheets to help you. Endangered species - factsheets of information. Activity ideas - easy things you can do to help whales and dolphins. 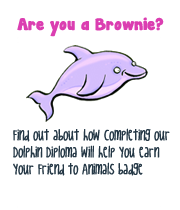 Diploma form - a form for your Brownie Leader to fill in and send back to us so that you can get your Dolphin Diploma certificate. Answers and more info - don't look at these before doing the quiz!